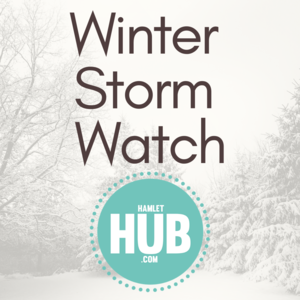 The National Weather Service has issued a Winter Storm Watch for northern Fairfield County in CT and Putnam & Westchester County in NY Saturday, January 19 and Sunday, January 20. Portions of northeast New Jersey, southern Connecticut and southeast New York will be impacted from the storm. Heavy mixed precipitation is possible with snow totals of 4 to 8 inches as well as ice accumulations of approximately 1/10 to ¼ inch. Travel may be difficult Saturday afternoon through Sunday afternoon. Strong wind gusts are predicted for Sunday afternoon into the evening. The gusts could bring down tree limbs and power lines. MOTORISTS SHOULD BE PREPARED FOR THE POSSIBILITY OF SLIPPERY ROADS AND USE CAUTION WHILE DRIVING. Visit the National Weather Service online here for additional information.